Friday again....& thank goodness! I've been tired this week, so I'm looking forward to the weekend. How about you? I'm linking up again with TheLaurenElizabeth for High Five for Friday. 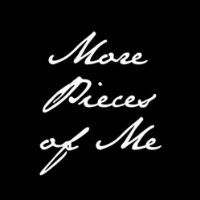 I have to say that I'm glad I do this post weekly because it's easy for me to think of the "negative" things that happen (such as spilling an entire cup of coffee in the seat of my truck while trying to rush off to school & work), but the little pieces of happiness are easily overlooked. Doing this feature makes me appreciate more parts of my week. So as you read along, make sure you think of 5 things from your week that are positive too! 1) The Christmas Tree is down (angels singing here)!!! Last Friday night the 4 us worked together & got everything put away, dusted & vacuumed. Needless to say, I went to bed a very happy person that night! I got my corner back! 2) I got to spend time on Saturday shopping with my Sister-in-law & Niece. My Sister-in-law's goal was to get "a couple of complete outfits, including accessories & shoes". She recently stocked up on a couple of pairs of jeans, so we were really looking for tops, accessories, & shoes. We found her a great knit blouse & a stripped sweater...it was less than $18 for the two! They had never been to Charming Charlie, so a visit there was a must! She got a great silver & white statement necklace as well as a black mixed metallic long necklace to go with her new tops. Both of the necklaces were "outside of her box", yet are still neutral so she can wear them with anything. Lastly, of course, we had to stop at Target! We found a couple more tops there, including a cream cardigan for under $6.00! She also walked away with 3 pairs of shoes from the clearance section. I was proud! She said something that stuck with me..."I want shoes that make me feel pretty". I think a lot of women under-value that "feeling". Everyone deserves to feel pretty...put the time & effort into yourself! It doesn't have to take a ton of time or money. Although my Sister-in-law's goal was to get outfits, my goal was to show her that having a wardrobe you love -that makes you feel pretty - doesn't have to drain your bank account or be complicated. We're on the right track & I'm excited for her! Love the shoes she picked...fun but neutral! 3) P!nk concert....finally! After having been originally scheduled in October & rescheduled twice, we finally got to see her on Sunday. Had a great time with girlfriends & P!nk sure knows how to put on a show! Very entertaining & well worth the wait. I've been a huge fan of her music for years, but now I have even more admiration for her as an Entertainer. What I wore to the concert...in case you wanted to know ;-) Picture is dark...sorry! The Kin was the opening band for P!nk. I knew absolutely nothing about them before the concert. I will say that I really enjoyed their music! A pleasant surprise for going into it with zero expectations. 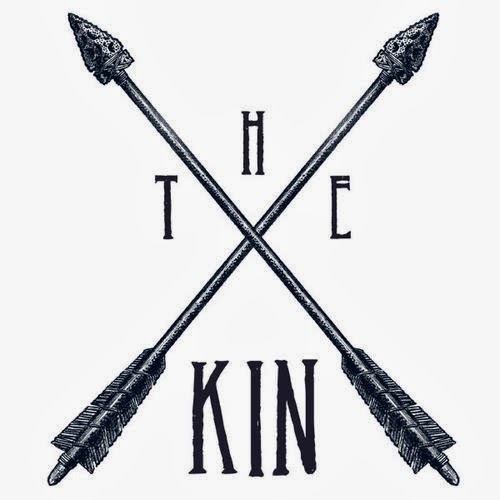 The Kin is made of 2 Australian brothers & a drummer named Shakerleg, who doesn't use drum sticks-he uses just his bare hands! Between the 3 of them, they play all the instruments as well as the vocals & even broke out the didgeridoo (wow, had to look up the spelling of that one). You can check out some of their music here. As I said earlier, I'm learning to pin-point the small things & appreciate them more. For example, on the way to our weekly gymnastics session we only hit 2 red lights the whole way! 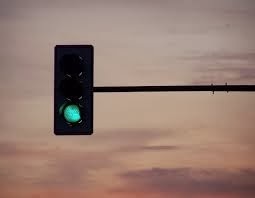 Now, we (or I) always seem to notice when we hit every red light, but when is the last time you can say you noticed hitting all green lights? I'm happy to say that I actually noticed that this time & it perked me up a bit. We left 4 minutes late & arrived 4 minutes early...weird how that works, eh? That's all from me today, but feel free to tell me about your highlights if you'd like...I'd love to hear from you. Be sure to check back next week for new posts, & follow the blog on Facebook, Instagram, & Bloglovin (links in the upper right hand corner) to stay in the loop.